why does the size of galaxies observed in our Universe appear to be capped in practice, although not in theory. The merger maniac can never understand that the source of his conundrum is that his fantasy model is directly inverted. That the core star at the center of galaxies is the source of matter growing the galaxy, not the sink. So he reaches for unlikely explanations to patch his fanciful world view — such as supernovae winds — in order to avoid mental instability. And mental instability and intellectual embarrassment is his key enemy. Feedback. LOL. Yes feedback is involved in all processes, including the periodic instabilities in the growing core star, leading to explosive outbursts seeding the galaxy from within, not from without. Once the core grows from within into a super active monster, it is blowing so fiercely that the stars dissipate radially therefrom, shutting down further galactic growth, leaving a bare quasar shining brightly across the universe! Tuxford, we should be able to prove or disprove galaxy growth by observing galaxy mergers and rewinding the event backwards in simulators to see if the galaxies had to have grown during the event to match current observations. If simulations show that the results of mergers had no growth from the center and instead have lost mass to the black holes, that should end the debate one way or another. Very interesting since this data resolves a long-standing debate over the lack of ultra-massive galaxies, strongly bolstering the argument that the gas is disturbed by supernovae caused by the starbursts, not by the supermassive black holes and associated quasar phenomena. 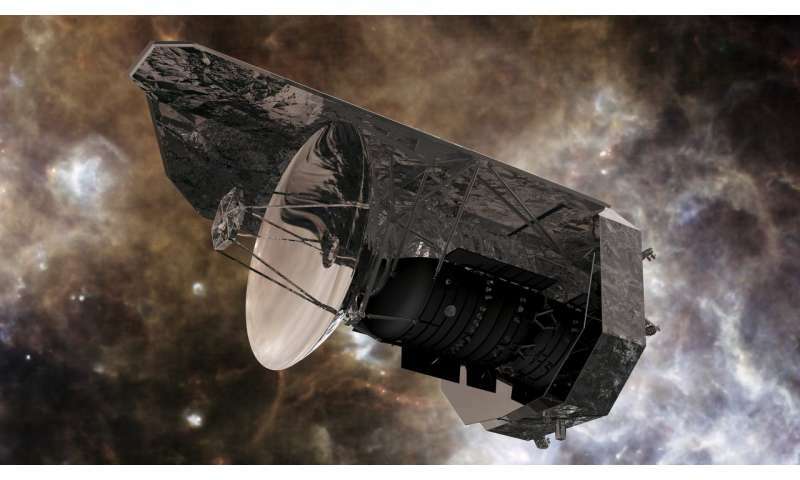 The JWST will add its own data to this probably permanently resolving this debate, but the evidence for the starburst providing its own negative feedback is now very strong. This will affect models of galaxy dynamics from now on, I think. This will affect models of galaxy dynamics from now on, I think. Indeed. In fact, nearly all recent models contain SF-feedback and all they will need to do is tune the models in accord with the paper's results. So, the effects will be almost immediate. You merger maniacs are rather suddenly jumping on the feedback bandwagon, as if you just discovered a new word that you don't fully comprehend. LaViolette's SQK physics is based on close-loop feedback systems being at the heart of the description of the sub-atomic particle, never mind for larger systems as well, such as galactic systems! LOL. That you don't really understand the implications of closed-loop systems dynamics is stunningly obvious to those few who truly do. For this reason, your comprehension of why new matter could suddenly emerge from the cores of stars will remain beyond your intellectual reach for the foreseeable future. Again it is a question of knowing the structure of the universe !! In order to understand this structure more easily, we must admit that there is some substance in the universe from which matter is formed. It is AETHER, which the unethical scientists have rejected as something illogical and non-existent. This has shown that they are opponents of the entire spirituality of the university and that they do not know the laws of nature. This is about some quasi-winds, and there is a mess that is thought to be involved and the effects of black holes. Thus, as the first form of the celestial body, a magnetar (quark-gluon plasma) arises, and thereafter a quasar occurs when magnetic gases break down from the magnet and high energy waves and light are formed, resulting in a pulse or dual star, which converts into a neutron The star, which when it explodes, creates supernames from which atoms form, chemical elements, celestial bodies all the way to the galaxy. The fact that scientists have discovered some jets of cold gases is a phenomenon when gluons are released from neutrons, disintegrate and form hydrogen atoms by emitting an electron from a neutron, circulating around the remainder (proton) and thus creating a hydrogen, and later all others chemical elements. You need to figure this out if you want to go on. !! So, hmmmm. Seems like starbursts happen often in galaxies without quasars too. So it doesn't seem like starbursts are linked to quasars. However, in quasars with starburst activity, it seems like we see these spectral features indicating a cold fast wind. We also see quasars without starbursts and without these spectra features. 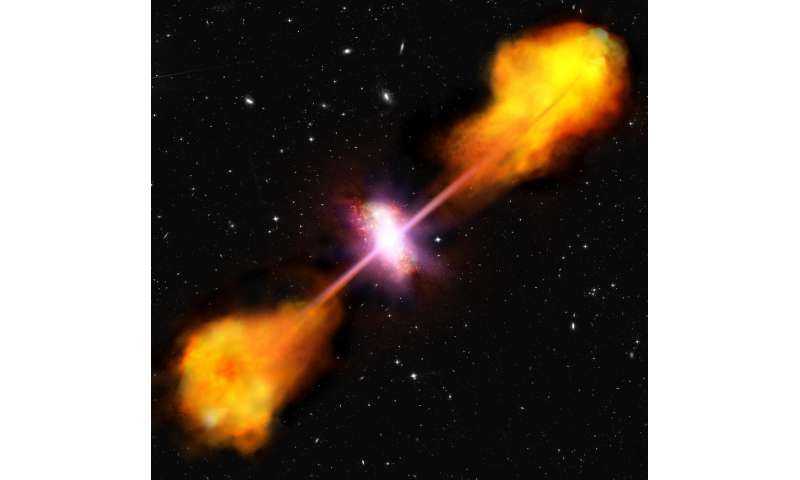 This all argues for small to no causal connections either way between quasar activity and starburst activity. It argues for a wide variety of states for the quasar and the host galaxy, as logic would predict if both are growing from within, and the growth processes are non-linear.